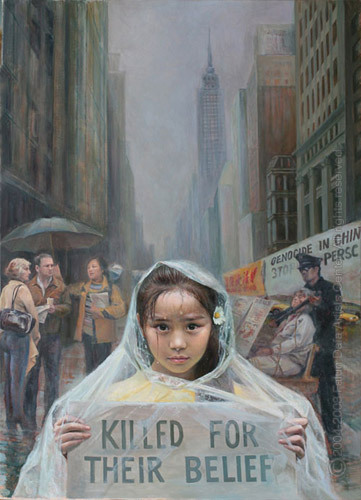 (Minghui.org) The following is the foreword and table of contents to the collection of evidence by the World Organization to Investigate the Persecution of Falun Gong (WOIPFG). To read or download the report in its entirety please go to: http://www.upholdjustice.org/node/241. From March 9th, 2006 on, the World Organization to Investigate the Persecution of Falun Gong (WOIPFG) has collected a large amount of evidence in the ongoing investigation on organ transplant centers in hospitals in 30 provinces in mainland China, cities, autonomous regions from the Political and Legislative Affairs Committee (PLAC), military, armed police and local areas. This collection of evidence confirms that the Chinese Communist Party is harvesting organs from live Falun Gong practitioners and also that experimenting on live human bodies truly happens. Together, these pieces of evidence reveal the alarming fact that CCP’s live organ harvesting from Falun Gong practitioners is not an individual case or an occasional murder case for money. It happens indeed on a large scale which involves genocide all over the country, committed by Jiang Zemin, Zhou Yongkang etc. ; officials from the highest level. They exploited all state apparatus and organizations. Under the protection and organization from officials, the judiciary, military, armed police and medical institutions are implicated in crimes systematically. In this crime, the military and police hospitals and organ transplant centers are the main places for organ harvesting from live Falun Gong practitioners. The pieces of evidence prove mutual and supplement each other. This internally logical relation, which shows the systematic crime, helps people understand the nature and extent of evilness of this whole situation which exceeds the normal thinking of humanity. WOIPFG obtained evidence that proves that the allegedly committed crimes involve at least 23 provinces, cities and autonomous regions related hospitals and transplant centers: Beijing, Tianjing, Shanghai, Hebei, Henan, Shandong, Liaoning, Jilin, Heilongjiang, Anhui, Hunan, Hubei, Jiangsu, Zhejiang, Guangzhou, Guangxi, Fujian, Sichuan, Yunan, Guizhou, Shanxi, Gasu, Xinjiang, etc. The atrocities, which started in 2000 and continue today, must be stopped immediately. The WOIPFG urges the international community to help end the genocide and bring the criminals to justice. The report contains 19 telephone investigations and selected investigative reports. • Investigative Audio Recording 5: Chen Rongshan guaranteed to keep the organ harvesting from Falun Gong practitioners for organ transplantation secret. • Investigative Audio Recording 9: Investigation into the Guangxi National hospital Urology transplant doctor Lu Guoping. • Investigative Audio Recording 12: Wuhan Tongji Hospital, Using supplies of live organs from Falun Gong, is that ok? Answer: It’s not a problem. • Investigative Audio Recording 16: Luo Gan’s secretary did not deny organ harvesting from live Falun Gong practitioners, only emphasize it is inappropriate to talk about it on the public phone line. • Investigative Audio Recording 17: Former deputy manager of PLAC office Wei Jianrong admits the organ harvesting case “happen ed a while back”. (Minghui.org) In an interview on October 19, 2012 Canadian MP Rob Anders said he was heartened to hear that 106 Members of the U.S. House of Representatives had taken a position with regard to the organ harvesting from living Falun Gong practitioners. He said that China is the largest human rights violator in the world, and we must call for an end to such human rights violations as forced organ harvesting. “So, it is high time that it gets a lot of attention and we call on China to end the practice for sure,” he said.